Local singer-songwriter Ben Sturgell combines elements of pop, rock and jazz on his independently released debut album, February Blue, which explores love, loss and relationships. But don’t let the title fool you as Sturgell takes listeners on a feel-good musical journey of happiness and heartbreak that is a genuine treat for the ears. The album’s nicely tempered and perfectly balanced production values by Sturgell and David Wilson make this a highly enjoyable listening experience throughout the entire 48 minutes. Starting things off is the hyper energetic opener “Crazy,” where Sturgell is backed by a full band and a kicking horn section that is guaranteed to get listeners tapping their toes upon hearing the first few beats. The album’s feel-good beat continues with “Deepen My Heart,” which includes white soul vocals reminiscent of Maroon 5 front man Adam Levine’s smooth falsetto. While the fast-paced “Twisted” is a good listen here, it seems as if it would really take flight and come to life when given room to breathe during a live performance. The jazz flavored “From Here” is an ultra smooth mid-tempo number which has a Maroon 5 vibe that recalls their previous hit, “She Will Be Loved,” and is wrapped inside a warm acoustic sound with a highly memorable chorus. Another highlight is the title track which includes a tempo that alternates between fast and slow as Sturgell passionately sings, “everywhere I look I see your face/February blue skies are gray,” while longing to be reunited with a loved one. “Drive” is the album’s full fledged heartbreak ballad and begins with stark accompaniment before the full band kicks in during the powerful chorus where Sturgell sings, “Driving down this road while I’m missing you.” This refrain seems to really stick in the listener’s mind above all the others. The vocals are extremely passionate and heartfelt here. Pain, longing and heartache have rarely sounded this good. The sentimental “Change My Mind” ties it all together and provides a perfect ending for such an impressive debut effort. As a special bonus, the CD includes a hidden gem of a piano and vocal only version of “Drive,” which should not be missed and is worth the extra effort to seek out. Although Sturgell doesn’t exactly reinvent the wheel lyrically, February Blue is a consistent and solid album with plenty of hooks and sing-a-long choruses in which listening ears can immerse themselves. There is not a dud to be found among the 12 strong tracks presented here. Ben Sturgell has described his music as “being and sounding real,” and in these days of studio tricks and manipulation, that sounds “real” good. 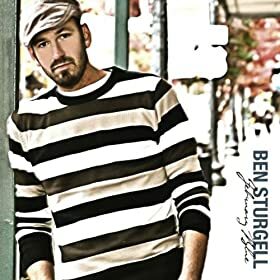 To find out more about this artist and his music, go to bensturgell.com. February Blue is also available to sample and purchase on iTunes.